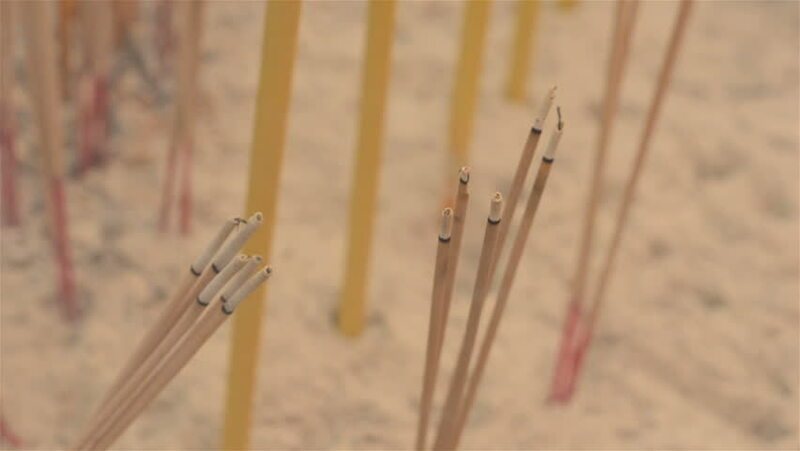 Burning incense sticks planted in sand, at a temple in Chinatown, Bangkok, Thailand. 4k00:14Tools in a creative lab to work handmade clay and modeling to create home made jars and works of art. Concept of: handcraft, tradition, handmade artwork, creativity.